It’s with good reason that this documentary is described as The Film The Australian Government Doesn’t Want You To See. It’s a heart-breaking, anger-inducing look at the Australian government’s tough immigration policy – which completely flouts the UN’s 1951 Refugee Convention that Australia signed up to, agreeing to accept refugees fleeing persecution. Since as early as 2001, successive Australian PMs and ministers have taken a brutally-hard line, making it clear that refugees are not welcome and developing a strategy to stop the arrival of boats. As of July 2013 this has been mercilessly reinforced by a blanket policy blocking any boats from landing in Australia. 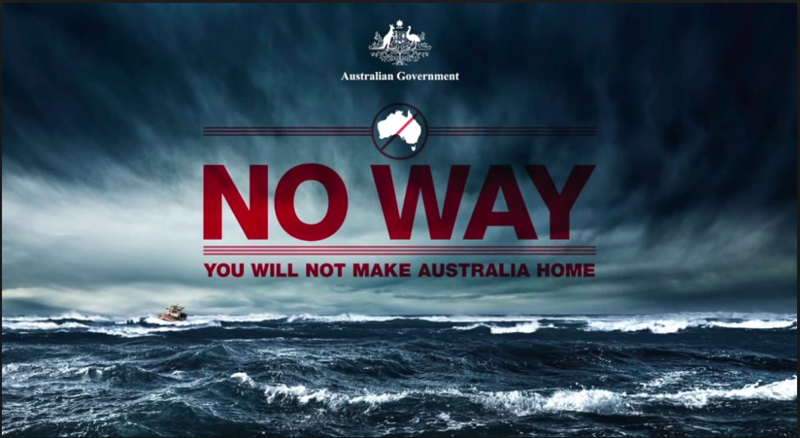 Print and television ads drive home the point, telling refugees that they will NOT reach Australia. Instead, they are rerouted to off-shore ‘indefinite detention’ centres on the remote Republic of Nauru or Papua New Guinea’s Manus Island, both in the middle of the pacific ocean. At the time of filming, there were 2,175 asylum seekers and refugees housed there. And the policy is not one of care for these poor people, who are fleeing war and persecution, but of deterrent. The aim is to ensure that living conditions are so bad the refugees warn others from their homelands not to come. The film opens with the voice of an asylum seeker, explaining that he’d heard Australia was a safe country. A calm country, without war. And a place that respected refugees and immigrants. How wrong he was. The film features interviews with junior support staff, social workers, mental health officials and a senior security guard (who has been threatened for speaking out), as well as lots of covertly-filmed footage, as cameras and journalists aren’t allowed in the Nauru or Manus centres. We see first hand that the centres are manned by staff who are completely ill-equipped to deal with the situation – many of those interviewed on camera were young people, ranging from students to factory workers, who had answered an ad of the Salvation Army’s Facebook page and signed up to what they thought would be an exotic adventure. Literally a few days later, they found themselves dumped in the middle of Nauru, with no training and tasked with stopping the desperate refugees from self-harming. To add to the tension, physical, mental and/or sexual abuse by the security guards is rife. At least one inmate was murdered by security guards and locals, plus numerous inmates have killed themselves or tried. The centres are wretched, with inadequate shelter, insufficient clothing and unsanitary conditions. And with ‘indefinite detention’ offering no end in sight – so worse than a prison sentence, mentally – it is said to take about six weeks to break the refugees, before they lose hope. Unsurprisingly, those that aren’t already traumatised from whatever experience they were escaping from in their homeland, are likely to soon develop mental health issues. One of the worrying aspects – and there are so many to choose from – is the number of children detained on these islands. Australia is the only country in the world to keep children in ‘indefinite detention centres’. Not only do they suffer from gravely inadequate learning, playing and personal development facilities, they may now also have parents who are deteriorating and thus unable to support or protect them. The sexualised behaviours of even some of the youngest ones points to the abuse that is taking place. Yet, despite the number of sexual assaults reported – without any investigations – from 1st July 2015, whistle-blowers now face two years in jail. This includes nurses, doctors and social workers, as well as reports on sexual abuse. In September 2015, after a damning report into these off-shore centres, the Australian government agreed to a one-off intake 12,000 Syrian refugees. On the very same day, Australia began more airstrikes on Syria. Watch this and weep. Weep for those poor asylum seekers and refugees. Most of all, weep for humanity and some people’s ability to not only let things like this happen but to try to justify them. But do watch this if you get the chance. 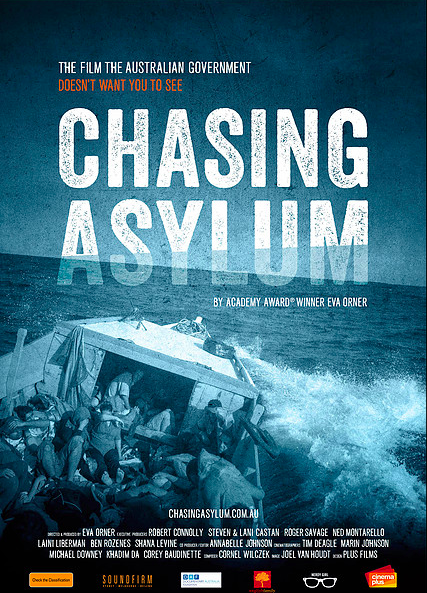 There’s really no excuse for us turning a blind eye to the atrocities going on around us and in Chasing Asylum, Academy Award-winning director-producer Eva Orner opens our eyes wide to what’s going on. This entry was posted in Film, Latest News, London Life, Review and tagged asylum, asylum-seekers, Australia, BFI, Eva Orner, film, humanity, LFF, London, London Film Festival, refugees. Bookmark the permalink.